What: Recently relocated to Aberdeen, Scotland in the summer of 2017. The Canadian-born choreographer Éowyn Emerald returns to the Edinburgh Fringe with a new program. Read the preview and review articles about this show here. 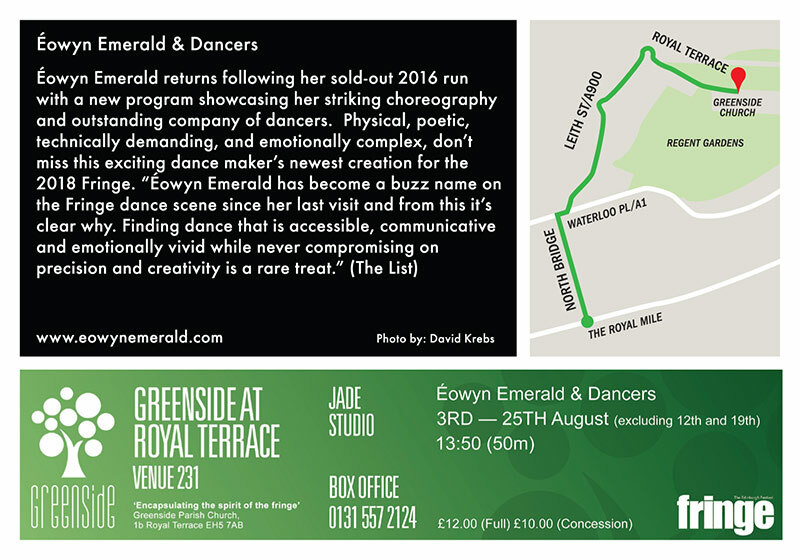 Éowyn Emerald & Dancers relocated to Aberdeen, Scotland from Portland, Oregon in the summer of 2017. 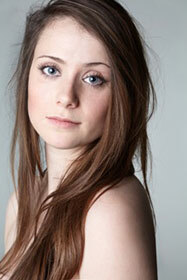 The company is now composed of Scottish, Canadian, and American dancers. Éowyn Emerald Barrett is a Canadian born choreographer and dancer, currently creating in Aberdeen Scotland, who was selected by The Times of London as “a talent to watch.” Her company Éowyn Emerald & Dancers have toured three times to the Edinburgh Festival Fringe, to rave reviews. Éowyn is a graduate of the University of North Carolina School of the Arts. She is the creative producer of Pacific Dance Makers. Éowyn has received a NFAA A.R.T.S. award for choreography and was awarded a Regional Dance America Monticello award and scholarship for her work. James Mapes is a freelance lighting designer, board game maker, and writer. 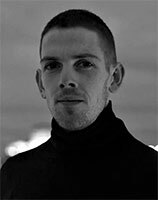 He works closely with dance companies BodyVox, Éowyn Emerald & Dancers, skinner|kirk DANCE ENSEMBLE and has been fortunate to tour all over the world, and will continue to tour internationally with ÉE&D this summer at the Fringe and this fall in Shanghai, China; and hopefully many times more.